ARE YOU BUILDING ON YOUR FOUNDATION? Once we were non believers and didn’t know much, if anything, about Christianity. But somehow we were introduced to Jesus Christ by His grace and our lives changed. We now had something that we didn’t have before. FAITH! By faith we began to recognize that there was so much more to learn and do. We began to grow spiritually. 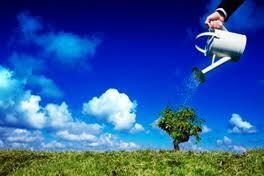 But for something to grow, it has to have something to grow from. A tree grows from a seed planted in the soil and begins to grow roots and then a trunk that that becomes its foundation. A seed, the Holy Spirit, is planted in us and we began to develop spiritual roots in the Church and Jesus is our trunk (foundation). John 15: 1 “I am the true vine, and My Father is the vinedresser. 5 “I am the vine, you are the branches. He who abides in Me, and I in him, bears much fruit; for without Me you can do nothing. 8 By this My Father is glorified, that you bear much fruit; so you will be My disciples. Now we have a foundation to build on as long as we are in these bodies. As we bear fruit our building is being built and Jesus is the chief cornerstone on which we build. 1 Corinthians 3: 10 According to the grace of God which was given to me, as a wise master builder I have laid the foundation, and another builds on it. But let each one take heed how he builds on it. 11 For no other foundation can anyone lay than that which is laid, which is Jesus Christ. Isaiah 28:16 Therefore thus says the Lord GOD: ” Behold, I lay in Zion a stone for a foundation, A tried stone, a precious cornerstone, a sure foundation; Whoever believes will not act hastily. Now that your foundation is layed and your temple is being built, your are host to the Holy Spirit. What an awesome responsibility! Now you are totally of God and belong to God. 1 Corinthians 6:19 Or do you not know that your body is the temple of the Holy Spirit who is in you, whom you have from God, and you are not your own? 1 Peter 2:5 you also, as living stones, are being built up a spiritual house, a holy priesthood, to offer up spiritual sacrifices acceptable to God through Jesus Christ. Sometimes it is good to remember just who and what we are. The world does not know this nor can it understand without the Holy Spirit. However, we do know on what we are building and what we stand. Never stop building! Praise the Lord! 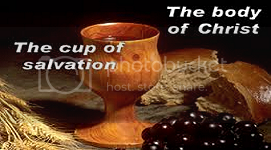 Categories: PROVOKING THOUGHTS | Tags: body of Jesus Christ, Christianity, Creator, faith, fruits of the Spirit, grace, heaven, inspiration, Jesus Christ, living sacrifices, spiritual growth, spirituality, theology | Permalink. 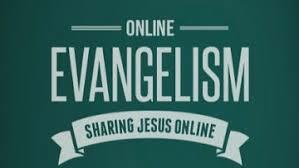 I praise Jesus for being able to serve Him as president of WORLDWIDE INTERNET EVANGELISM, a teacher of God's Word, and online evangelist preaching salvation to the unsaved and inspiring true believers of God by proclaiming the hope of Jesus Christ's gospel by the power and blessing of God through the worldwide internet. God opened the door to reaching all the world with the gospel of salvation through Jesus Christ by making the internet possible. The internet is like a great light shining over the world to the unsaved. Acts 13:47 For so the Lord has commanded us: " I have set you as a light to the Gentiles, That you should be for salvation to the ends of the earth."